Some of you might be interested in reading a short article I wrote for the New Liturgical Movement. I teach art once a week in a small Traditionalist Catholic school. It has been a great joy to teach in a context so friendly to liturgical art. 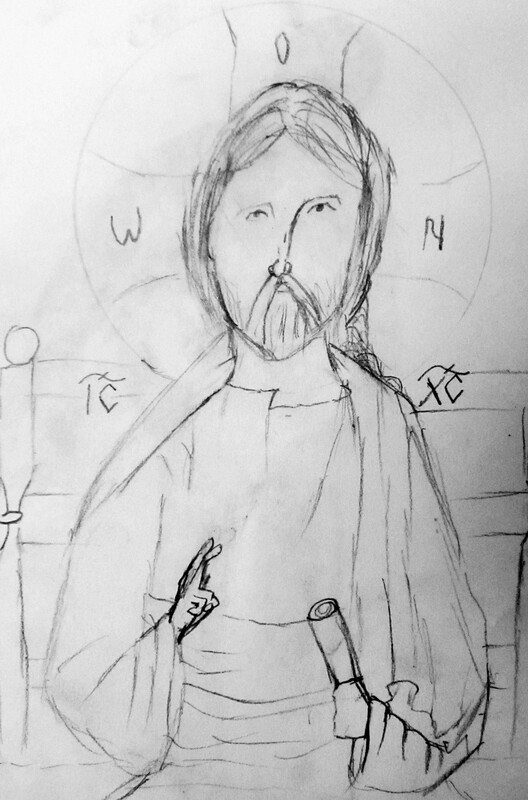 On my first day, as I was explaining what I would be doing, a 4th grader asked me if they would learn to draw Christ and the Holy Virgin. When I replied “yes”, the children cheered as if their team had scored! I am not a big fan of the Baroque, as you can imagine, but I decided to be fair and present all the Catholic art traditions followed by discussions about them with the students. This has led to surprisingly deep reflections for such young people, as you will see for yourselves in the article.